"The Book of the Vyborny Family" comprises a brief information concerning some members of Vyborny family of the region of Tabor, South Bohemia. Editorial notes inserted in the text into  brackets the same way as in other pages of this website. By question marks labeled those words which have not been deciphered safely in the photographic negatives. Drazice near Tabor, South Bohemia. 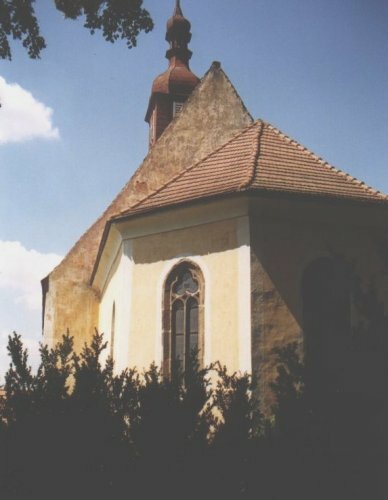 Left - the parish of Drazice, right - the church of St.John the Baptist at Drazice. The pictures can be enlarged by clicking on. No excerpta from older "matrika" books I have searched for have been found, unfortunately. According to the information of the parish office of Drazice, they should be kept in archives of Tabor town. I have obtained an negative answer from there, however. 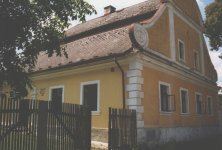 There exists the parish office at Drazice since 1757. Here (or at Mezdrici [the adjacent Mezirici village], perhaps) there was the family of Vojtech [Vejborny] and of Katerina nee Nekansky[?] 1787-93, the owner of the little house. 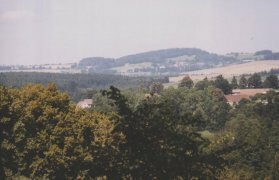 Further there was the family of Josef Vejborny and Kater. nee Vasek[?] the farmer, marriage of which was in 1791. Another marriage in the year 1801 there was of Jan Vejborny the owner of the house to Rozalie Vosta[?]. In 1814 [there was a marriage] of Frt. 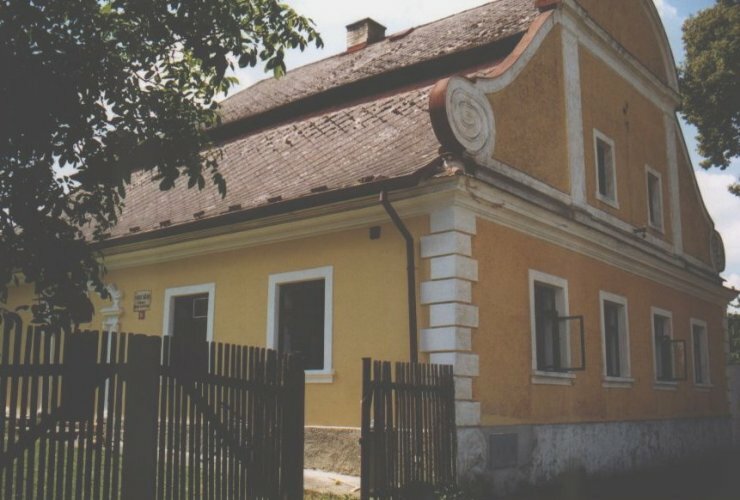 Vejborny to Dorota Novak, the owner of the house, another one in 1814 of Josef Vejb. to Magd. Hejra[?] the day-worker. 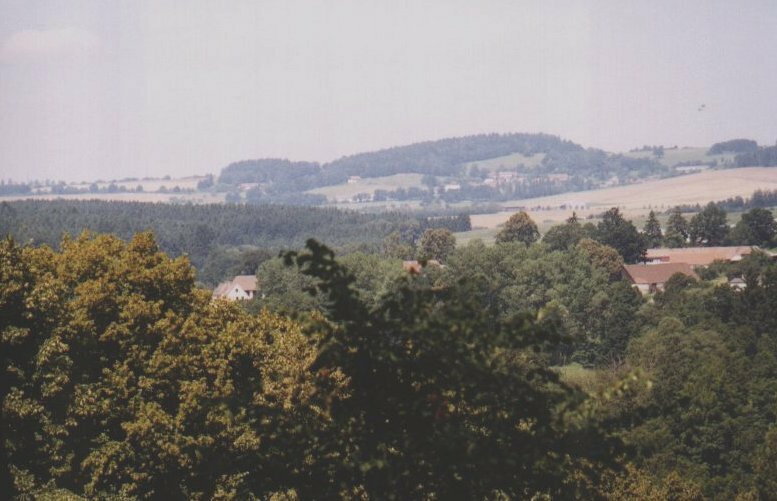 Descendants of those families are still living in the neighborhood of Tabor town, South Bohemia. 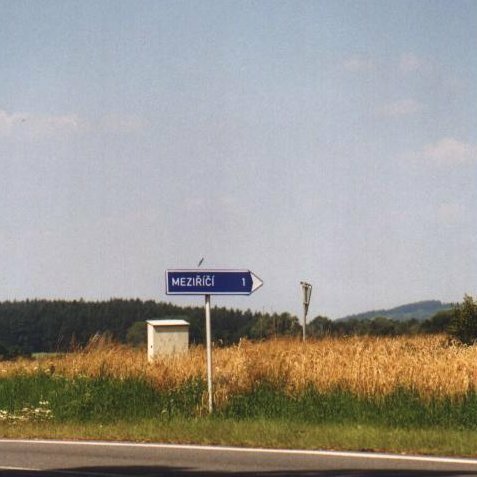 Left - View from the parish of Drazice to Mezirici, right - the road to Mezirici. Back to the contents of "the book of Vyborny family"
Back to the page "Unanswered questions of the genealogy of Vyborny's"